The president is not very optimistic but "would be happy to be surprised." President Petro Poroshenko is convinced that tomorrow's meeting of the Normandy Four leaders in Berlin is unlikely to bring any significant results. "Let's not overstate our expectations about tomorrow's meeting in Berlin," Poroshenko said on Tuesday, 18 October 2016 as quoted by his press secretary Svyatoslav Tsegolko. Poroshenko himself told reporters that he was not too optimistic about the upcoming meeting. "I'm optimistic about the future of Ukraine. Unfortunately, I'm not so optimistic about tomorrow's meeting, but I will be very happy to be surprised," the president said. Earlier today, the presidents of Ukraine, France and Germany have agreed to meet on 19 October in Berlin in the Normandy Four format to persuade Russia to implement the security provisions of Minsk Agreements. 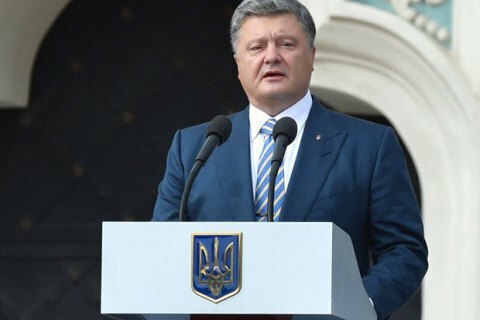 On 15 October, President Poroshenko said that Ukraine will not proceed to the implementation of political provisions of the Minsk Agreements, until the provisions on the cease-fire and the withdrawal of Russian troops are completed. Russian President Vladimir Putin said in response that the military and political provisions of the Minsk Agreements shall be implemented in parallel. Previously, the leaders of the Norman Quartet met on October 2 in Paris.